More Than Just a Cracked Windshield! The safest place to be during a car accident is in the car. Your windshield is an important barrier that keeps you in the car. If you don’t replace your windshield, a cracked windshield (or a poorly installed windshield) can fail during a collision or roll over, allowing you or your passenger to be ejected. A passenger ejected from a car or truck is much more likely to experience a serious injury or death. Cracked windshields expose the laminate that joins the layers of glass in the windshield, resulting in delamination. It is this delamination that results in a dangerous reduction in the structural integrity of a vehicle. 2. Your windshield is a “backstop” for your passenger side air bags. In nearly all new vehicles equipped with airbags, the passenger side airbag deploys upward and bounces off the windshield glass to protect the passenger in a crash. 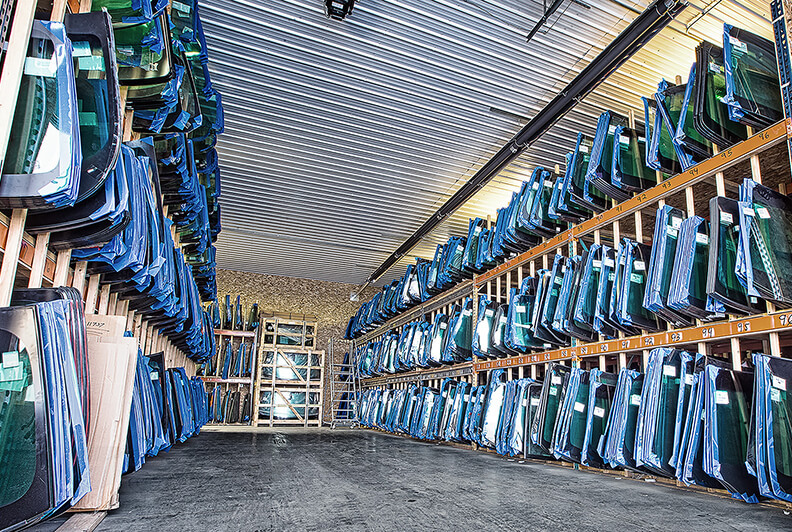 When the airbag deploys, it does so at 150 – 200 miles per hour. Needless to say, a cracked windshield lacks the structural integrity necessary to absorb the force of a deployed airbag; the result is that passengers may be ejected and injured or killed if the airbag deployment is deformed by the windshield’s failure. In addition, an improper windshield replacement that fails will subject a vehicle’s occupants to the same risk of airbag failure as a cracked windshield. An automobile’s windshield is designed to prevent the roof from crushing you in a roll over accident. 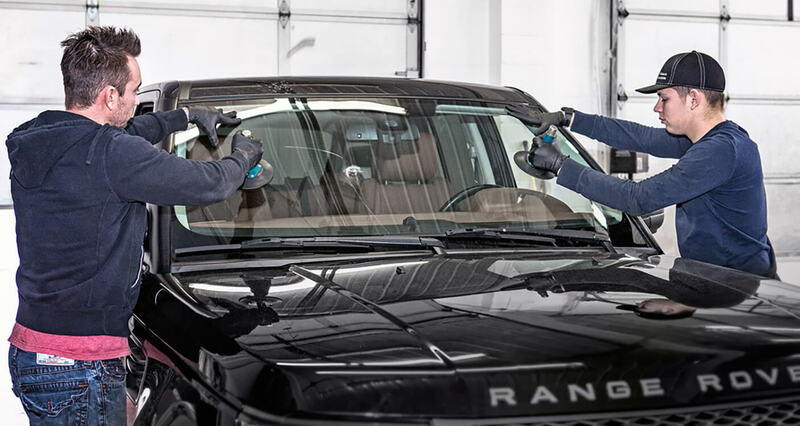 It’s important to promptly replace your windshield, because a cracked windshield will not meet any of the ANSI windshield performance and safety standards. Industry experts have estimated that windshields provide up to 70% of the structural integrity in a rollover accident. A cracked windshield may fail to support the roof if the car flips over, causing severe injury or death to occupants. Below are a few links about glass safety information. Auto insurance providers have a pretty bad reputation. Although they can be a saving grace in the event of a catastrophic collision or the theft of your vehicle, they are often less than forthcoming when you need smaller repairs like auto glass replacement or minor ding and dent repairs. This is because these smaller issues are often considered ‘secondary’; they may not look great, but they don’t always affect your safety during driving, either. In fact, depending on who your auto insurance provider is, you may actually be discouraged from using your auto glass replacement policy. Insurance providers who want you to only use their specialists. Most of the companies your insurance provider wants you to use aren’t necessarily the best – they’re the ones that have a deal with the insurance company. You should be able to get your windshield repairs through any company you want. Insurance providers who try to decrease your fears. 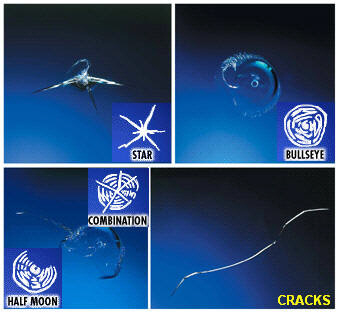 Driving with a cracked windshield might not be the most dangerous choice, but its certainly not the safest, either. The cost of your deductible. Since most auto glass repairs come in at under $400, it is completely needless to file a claim if your deductible is around $500 or higher. However, in many states, it is required by law that your insurance provider offer you windshield replacement coverage for a $0 deductible. Make sure you understand what costs will be carried over to you and which ones will be the responsibility of your insurance provider. Insurance providers who imply that your rates will increase substantially if you choose to file a windshield repair claim. Most of the time, auto glass repair falls under a “no-fault” clause, which means that you aren’t financially affected by the damage or your choice to repair it. Getting Your Windshield Repaired Despite these common pitfalls, windshield repair insurance doesn’t have to be complicated. As long as you’re working with an insurance provider you trust, you should be able to streamline the process of getting the repairs you need for the lowest overall cost. Talk with your insurance provider and your auto glass repair company to learn how to find out more about the options available to you.